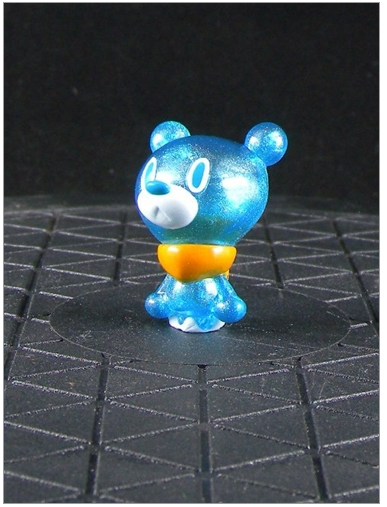 I realize that this post may be outside the scope of what you are used to reading on the Tenacious Blog, but I am committed to creating the most full-spectrum reading experience for you with the greatest variety of art toy industry info. And what you usually see gracing this blog are the final products on the market, created either by indy artists or produced in factories by larger companies. What you might not think about as you see those images is the back end process behind getting those items to market. It's a long, complex process that isn't often talked about with the consumer. That's exactly why I'm posting this "industry" info - to expand your knowledge of what goes into the release of a new toy. 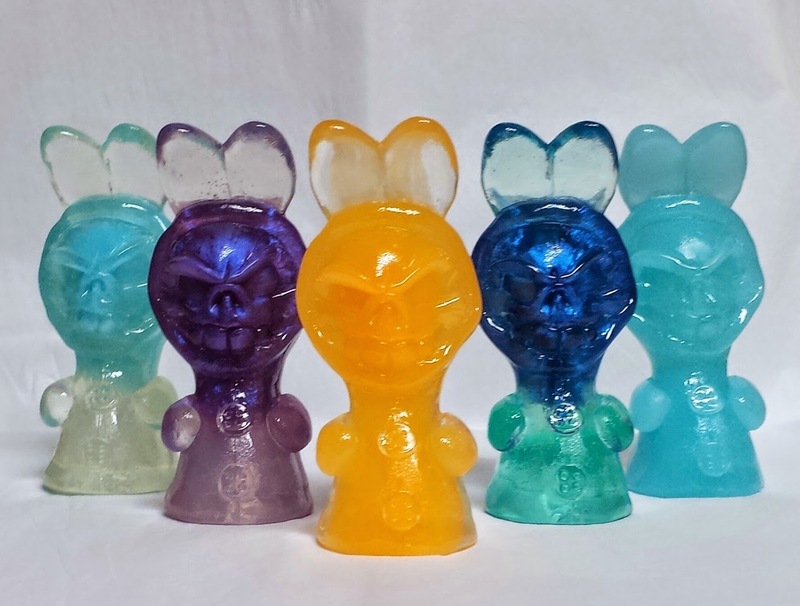 I've been watching and cheering from the sidelines as Jonathan Cathey and his team have taken The Loyal Subjects brand from limited release art collectibles through the murky and convoluted waters of licensing. Murky and convoluted to me.... but apparently, JC has a knack for such navigation. We've been stocking the TLS art toys for several years, but lately JC has signed big deals and gotten his licensed products into MAJOR retail outlets, a natural evolution for the TLS brand. Some might argue against licensed toys in general, but you have to admit, even some of your non-toy-nerd friends still own a TLS Ninja Turtle or FunkoPOP Big Bang Theory figure. These items have mass appeal, and thus do well in big-box stores. And I am arguing that this expansion is GOOD for our community, as it certainly sheds a light on the art toy concept in general, and that has a trickle-down effect for the super indy, super limited, super artsy art toys. The occasional Target toy buyer eventually becomes the next person to commission a $800 OOAK figure from an indy artist. That's good for all of us: shops, consumers and artists. Bluefin Distribution; most well known for their Japanese Partners and Imports from celebrated Brands like Bandai's Tamashii Nations, Square Enix and Capcom have partnered with The Loyal Subjects to Distribute ALL TLS offerings. What does this mean? Simple - You, our most valuable component and lifelong members of the TLS family will get a great full service experience. Bluefin has great Customer Center, Great Service and will deliver your orders on time. Meanwhile, TLS will continue to build our Brand Statement, Narrative and the wonderful, exciting and fun products that you all have come to love from The Loyal Subjects. Items incorporating some of the greatest Brands and Licenses that we all love! In a nutshell, our time at TLS is now freed up to make sure we keep the imagineerium running at full speed; including more releases, more licenses, better experience at the store level, bigger store footprints and more shelves so more customers can find our products in their cities! 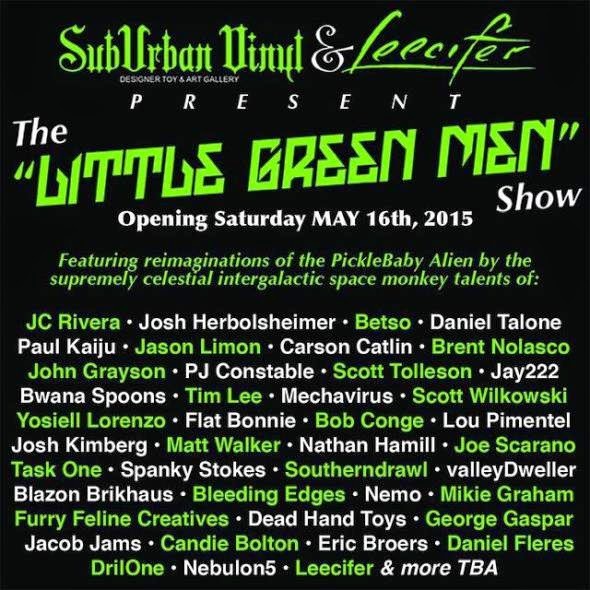 The ACTION VINYLS Program is building fast. More releases, more Exclusives, better quality, better experiences and more features! We are also incorporating more apparel components, more accessories and more diverse product offerings so we can accent your lifestyle and be a bigger and better experience at Retail. The Bluefin Distribution partnership will allow us to keep the fires stoked and more importantly, YOU STOKED! It's all bout you, each and everyone of you and that is our biggest priority when approaching our product. Design, Vision, Fun, Excitement, Cool, Interactive, Playable - All fundamental components to our ethos. It's time to build TLS 3.0 under the same enthusiasm that Willy Wonka built his factory. We're shooting for the same results, but don't expect us to build a laser/ray that can de-molecularize any carbon form and transmit it to your family's TV set! Because we can't do that yet. Yeah, I know, we all have our limitations. Let's keep making great ideas happen! Buy Jermaine Rogers Choices Shadow black 8-inch figure here. 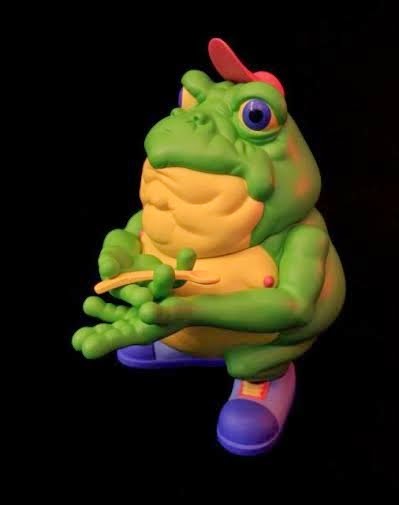 Drug 'Em Killfrog stands approx. 8" tall. Clutter Magazine Issue #24 is out now... and it's FREE online! 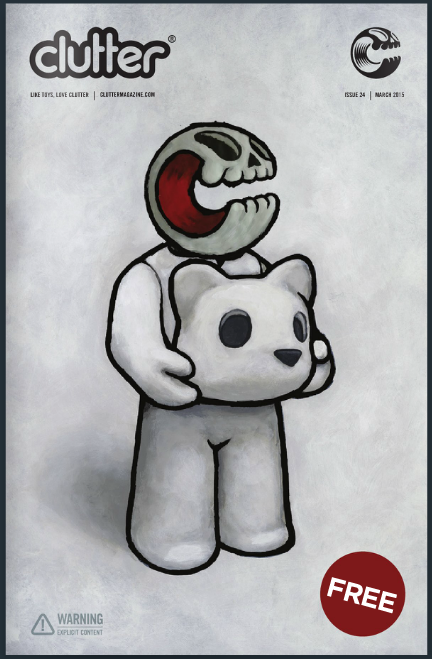 The March 2015 issue features cover art and an interview with Luke Chueh! 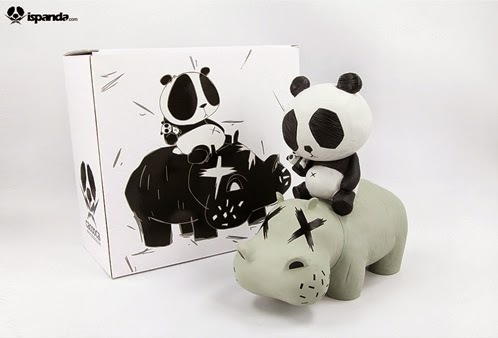 We are very excited for these super cute new vinyl toys by Cacooca - Hippo Panda (above) comes in 2 colorways, red or grey, and stands a whopping 10 inches tall! 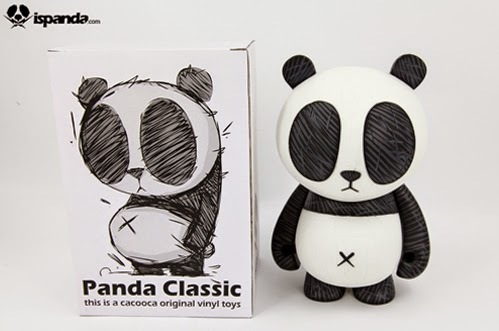 Panda Classic (below) is about 7.5 inches tall. Both feature Cacooca's really interesting sketchy-style paint deco. I dig it. 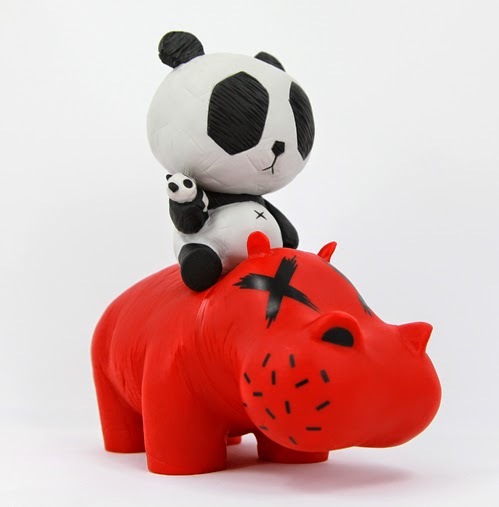 CLICK HERE TO PREORDER PANDA CLASSIC AND HIPPO PANDA. These items are scheduled to ship to us soon, so we project a ship date of early April. 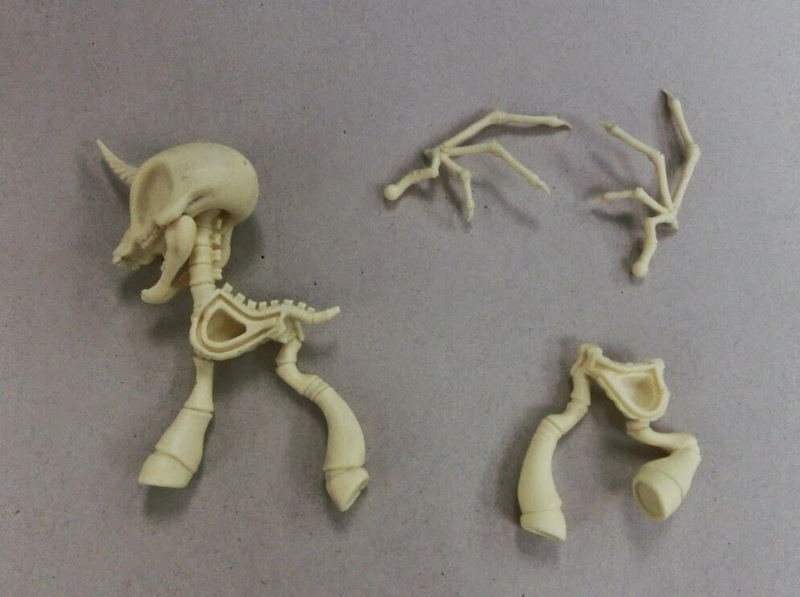 Now that we've wrapped up the Kickstarter to fund Bigshot Toyworks' Four Horsies of the 'Pocalypse line of collectible art toys, the real fun begins! Here you see a couple of images from the factory in the very first stages of production. These are called "tooling masters" and they help the factory properly engineer the figures for production. After this stage is complete, the molds are created. Mold creation will be complete in approximately 45 days. More more images of the Four Horsies tooling masters, check the Four Horsies blog or FB page. We will post up more images from the factory as they become available. 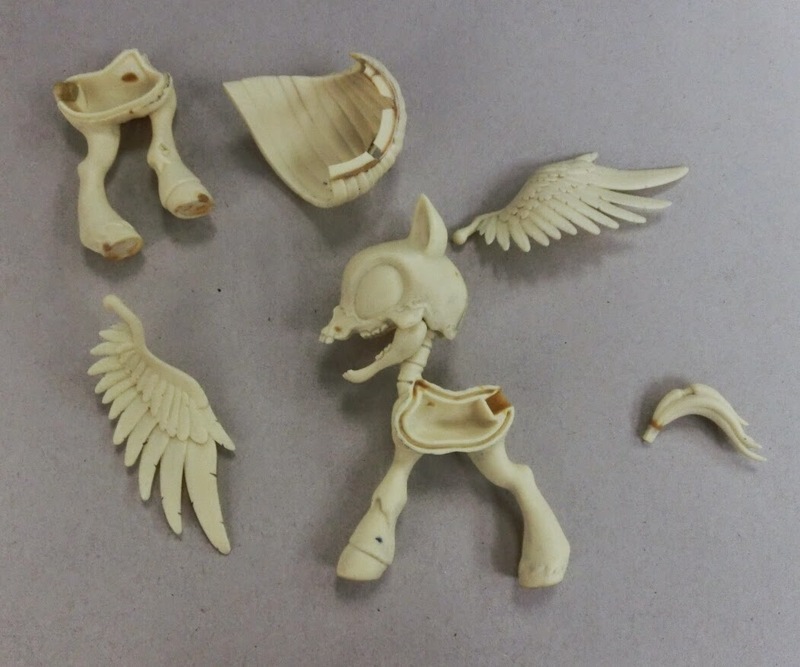 This is so cool to me... after selling items like this for a decade with no knowledge of how they are made, I finally get the inside peek into the exact processes that go into the creation of a new art toy. I'm excited about it, so I'm sharing with you! If you missed out on grabbing a 6-inch Maddie (from the first Kickstarter we managed), you can grab one now at the Bigshot Toyshop. We had a good quantity left.... till we sold about 150 to 200 more through the most recent Kickstarter. So the numbers are getting low... Little Maddie is a 6" figure selling at $55. 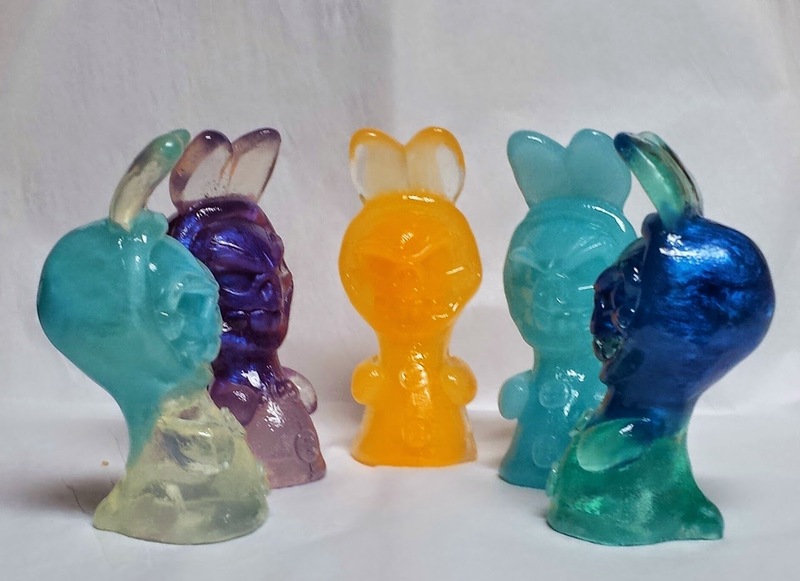 JFury is back at it with his first resin release of 2015. 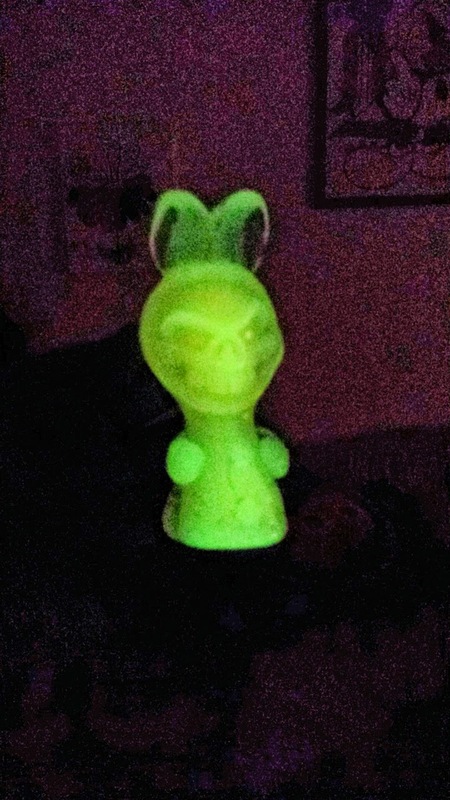 Dead Wabbits stand 4.25 inches tall with super gloss finish. The bunny suit is textured to give contrast to the super smooth skull. This release is blind bagged with 5 colors with 3 of each color available, guarantee no doubles when ordering multiples. 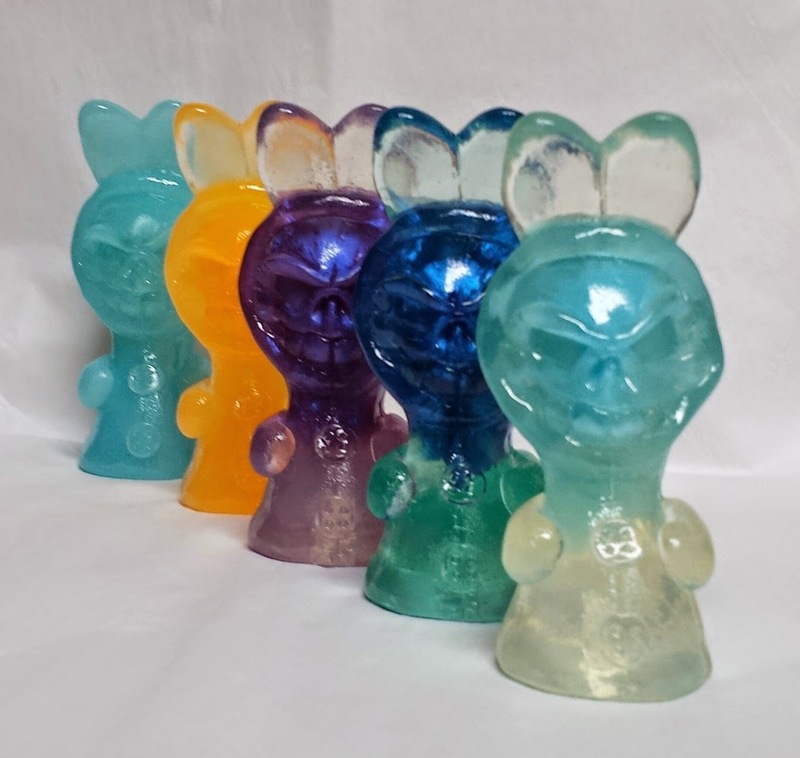 They go up for sale Monday March 23rd at 3pm PST for only $30 dollars each. 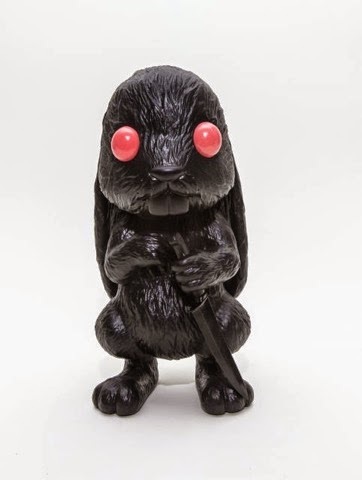 He will also have some commission spots available in his store for one of kind hand painted Dead Wabbits for only $65 dollars with different color options for you to choose from. 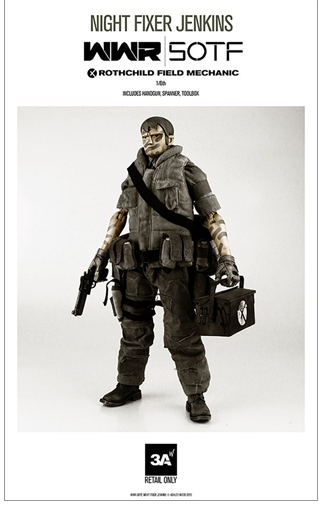 Buy 3A WWR Rothchild Field Mechanic Night Fixer Jenkins 1:6-scale figure by 3A here. 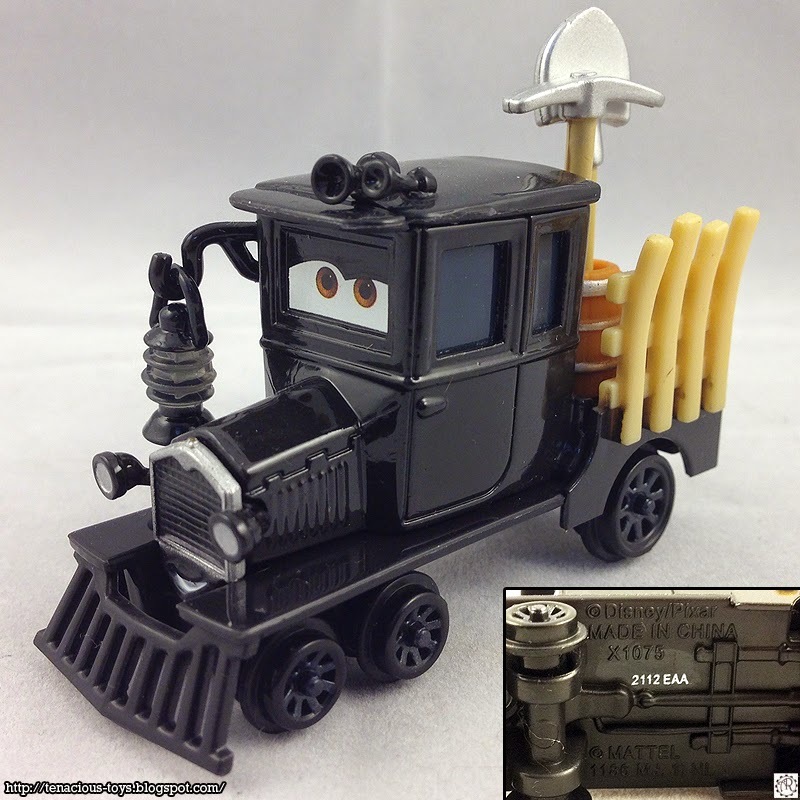 Galloping Geargrinder - Pixar Cars - Background characters always get the coolest accessories. (Top) Galloping Geargrinder is sort of the Boba Fett of Cars 2. You see him on screen for a mere moment out of the movie, his look and design is really unique and understated, and he gets a killer diecast release, making fans scramble to find him. (Left Bottom) An actual Galloping Goose that this character is based on. (Right Bottom) The sealed blistercard. 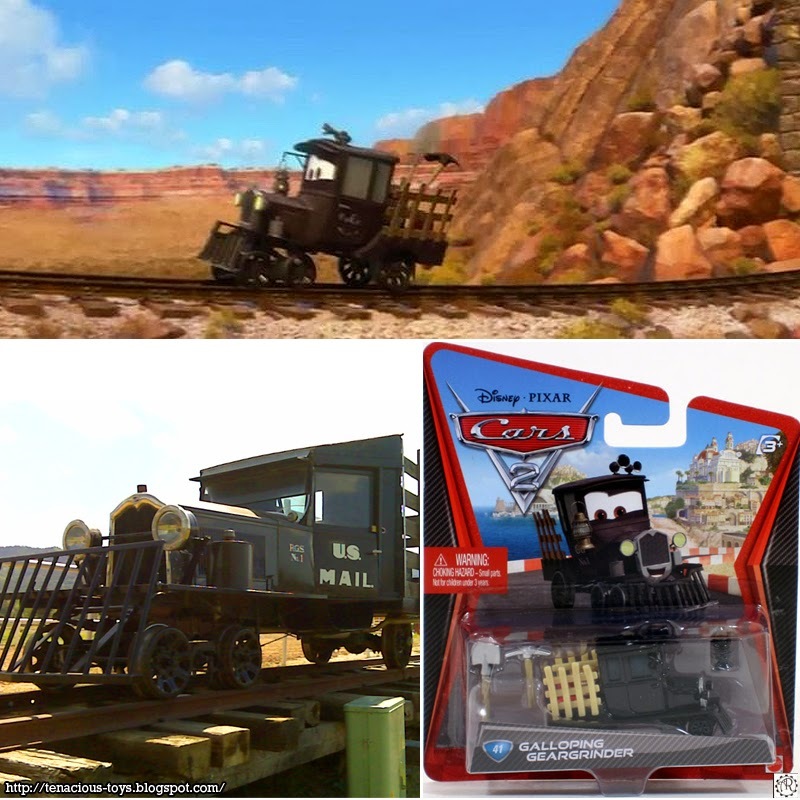 Mattel is a very odd company. Box assortments, case distribution, and a sometimes off beat knowledge of the fan base they cater to, makes for rocky relationships with the people that buy into their toy lines. Go to any retail outlet that carries Cars, and you'll probably find fifty McQueens just warming pegs. That was the case when I found this often unknown gem of a diecast. (We all know we hide finds we can't afford behind a pile of other less looked at toylines, or behind high dollar ticket items.) He was stuck behind an obviously clustered 3 pegs of LMQs no doubt hidden until someone's paycheck would deposit and they could claim him. But no, I am onto the tricks and wiley ways of many of my cohorts and plucked him like the forbidden fruit of... okay, I'm getting off base here. He's really just as oddball as his real world inspiration. 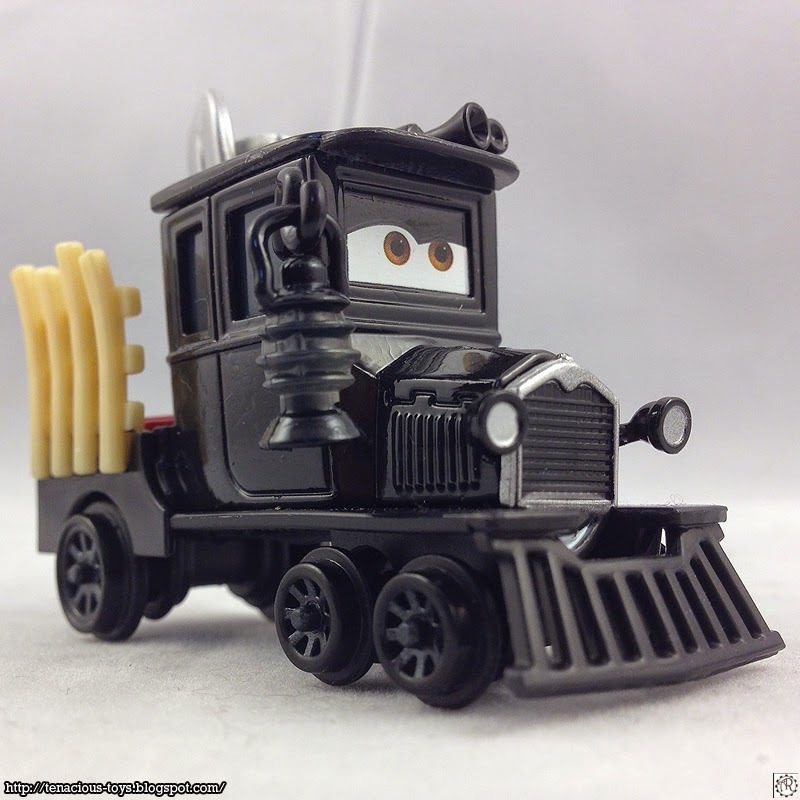 But I mean first of all, the fact that Cars collectors even got this guy who is a wholly original sculpt (and no he's not a retool of Lizzie, although they do look alike) and came with what I think is the most amount of accessories for a single card Cars release, that HAD to get others scratching their heads. The details, the details, the details. Although I don't know how he'd use any of what he carries on him, the included tools and the lantern, are all welcome and unexpected inclusions for this car. Personally I love offbeat releases like this, because these are the ones that become the true chases and revered additions to personal collections. It's when you look at the sculpt up close like below. This. This is what gets me excited about die cast collecting. The details on the radiator, the headlights, the lantern hook and horns... this is one that when I finally assemble/create my 1:55 scale version of Radiator Springs, I want to spotlight in some way. 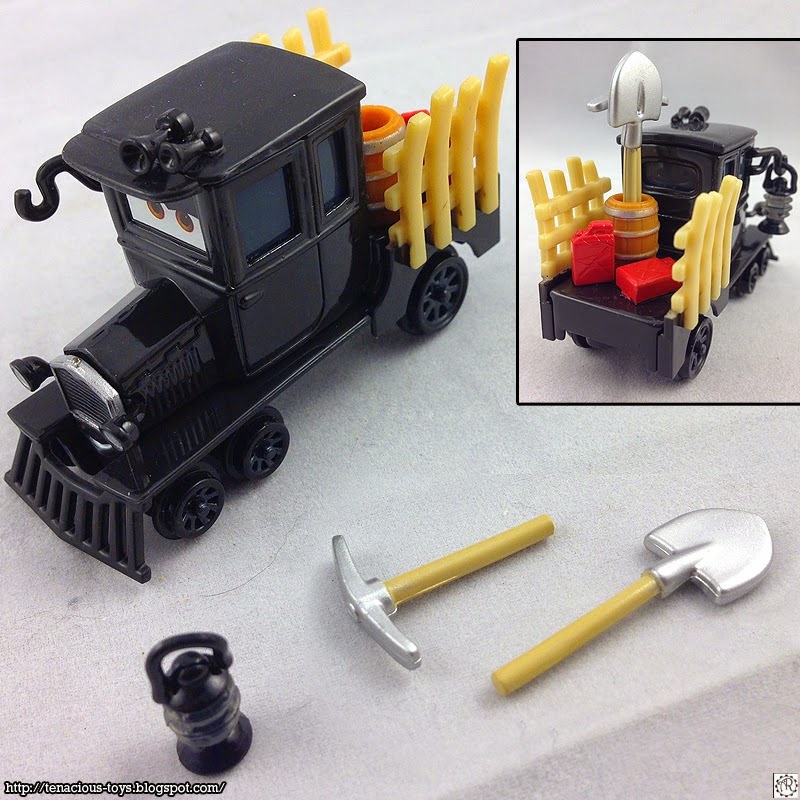 It looks like he'd fit on an HO or HOn2 model scale track, I have yet to find out. Thanks for reading and keep collecting! - Mario, the Rogue Hobbyist. Rarity Very Uncommon - because Mattel evidently uses feral cats to get case assortments to retail. Trivia & Fun Facts It is unclear exactly where the name "Galloping Goose" comes from. It is mostly commonly suggested that it referred to the way the car body and the freight compartment tended to rock back and forth on the railway's sometimes precarious track. A more colorful story is that the name arose because the "geese" were equipped with air horns rather than the whistles of the steam locomotives.